About a year ago, Alex at Health Building Science, turned us on to the FLIR E5 compact thermal imaging camera. 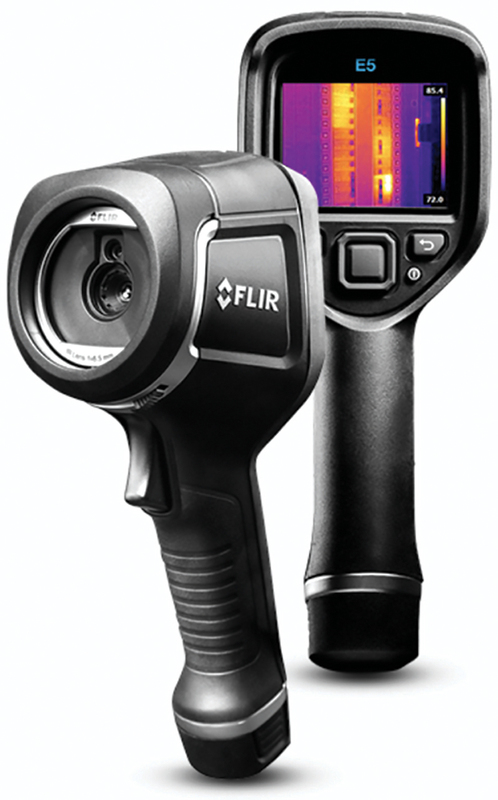 We’ve been using it to help diagnose hard-to-find heat-loss areas, and pinpoint water leaks behind walls ever since. Instead of numerical temperature readings, this tool gives us a graphically detailed, and color-coded thermal map of the trouble area. You can still see those numerical readings for any spot, though, by using a button under the LED screen to scroll crosshairs across the image. Now we can find trouble in hidden locations. For instance where a wall has no insulation or a disconnected heat duct, or where a pipe may be leaking. All can be spotted before making cuts into drywall or other finishes. The camera is especially useful for water leaks where there are no tell-tale stains on the walls to point you in the right direction. The MSX image enhancement setting lets you overlay a digital image with a thermal image of the area. This can make it easier to illustrate and explain a problem to clients who may have trouble reading the temperature map alone. 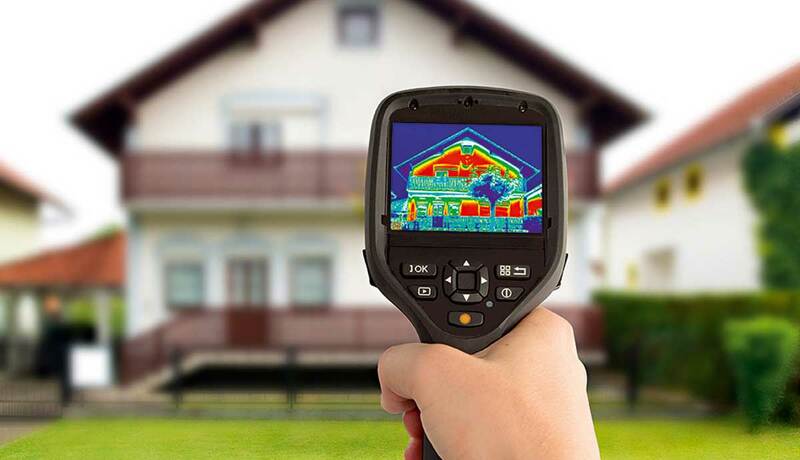 Another great feature is the auto-hot/cold detection feature, which lets us find the warmest and coolest spots in an image with the touch of one button. At $1,200 each, the camera is priced well. With our customers, response time is everything. Being able to diagnose problems without having to call in other experts for help is faster, and makes my clients very happy. We are ordering multiple units to keep with each of our repair vehicles. Get yours here.